Book your ski season travel now! 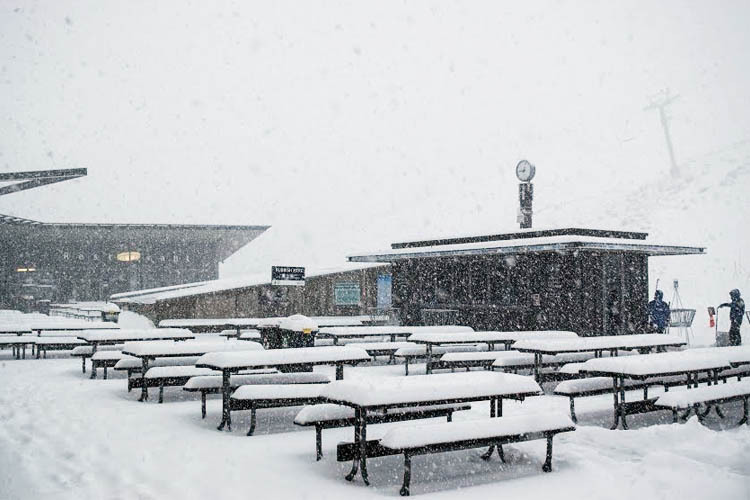 It is time to start planning your trip to Queenstown for the winter, we have had a serious covering of snow over the weekend and the mountains are looking spectacular. Early indications are for an amazing season! The Arrowtown Autumn festival is in full swing and the area has been incredibly busy this past fortnight with the Easter and ANZAC holidays providing a great excuse to visit the region – and the quieter season over the next month provides a wonderful opportunity for a weekend get away. There are some great special rates available for accommodation this winter and as always Eichardt’s Bar is THE place to be during the cooler months, tucked up by the fire with a glass of wine. Golf is the theme at present with few crowds meaning you can enjoy New Zealand’s best courses at reduced rates and without the hustle and bustle of summer. Former New Zealand test cricketer and media personality Mark Richardson joined us for a round at Jacks Point recently and we had a fantastic day of it despite spending a little too much time in the sand!